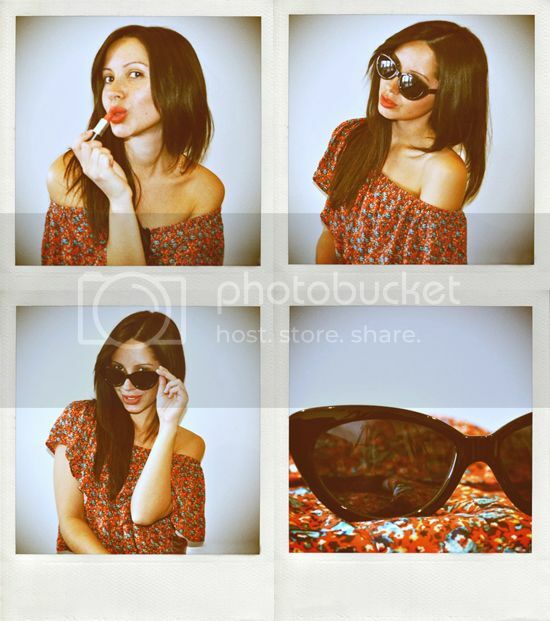 POUT OFF — Friend In Fashion | By Jasmin Howell | Fashion. Travel. Lifestyle. What better time to get your pout on than the weekend right? My friends at MINK PINK are currently running a beauty of a giveaway and have asked me to share the love with you, my fabulous FRIEND IN FASHION readers! 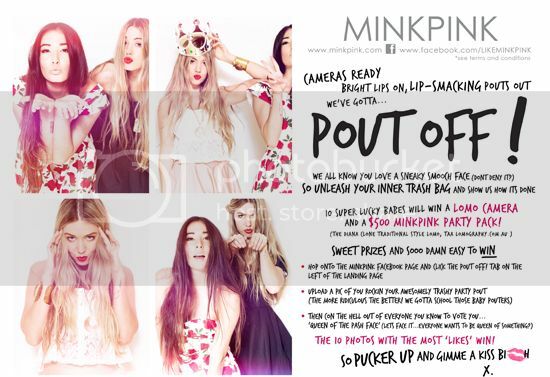 For you chance to win a $500 MINK PINK party pack PLUS a Lomo camera, head on over to MINK PINK'S facebook (here) and upload your best party 'pout' on the competition page! The 10 pouts with the most 'likes' will each win a prize. It's as easy as that!